Vice-Chancellor's blog and selected speeches | Updates from the VC’s Office about the work and activities of the President and Vice-Chancellor of the University of Surrey. ‘To put everything in balance is good. To put everything in harmony is better.’ -Victor Hugo We’ve just celebrated two new milestones in student experience that are already transforming student life here at Surrey. Your Royal Highness and Chancellor, members of the University Council and Executive Board, University staff, distinguished guests, our graduands, and ladies and gentlemen: Good morning! And a very special ‘thank you’ to the Cathedral for allowing us to hold today’s ceremony in this magnificent setting. 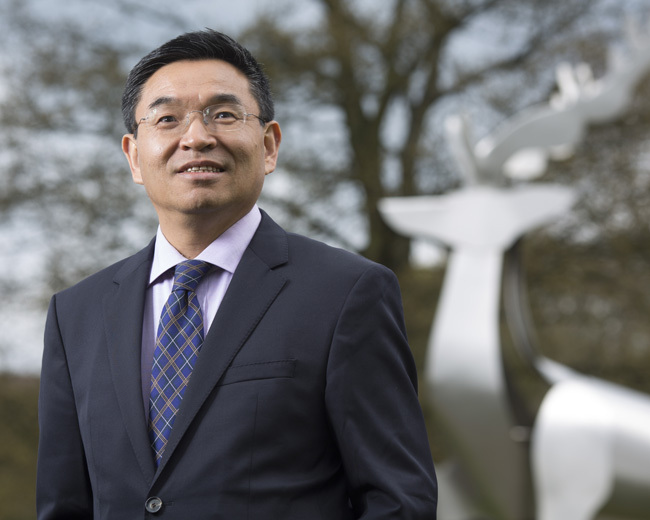 Professor Max Lu has been President and Vice-Chancellor of University of Surrey since April 2016.